We have one room available called “The Cabin” which is a quaint little room which serves sailors from around the world well. It is well priced, comfortable and serviced daily. There is a double bed in the Cabin which is airconditioned, and has a flatscreen television. Shower and bathroom facilities are conveniently located outside the entrance door. 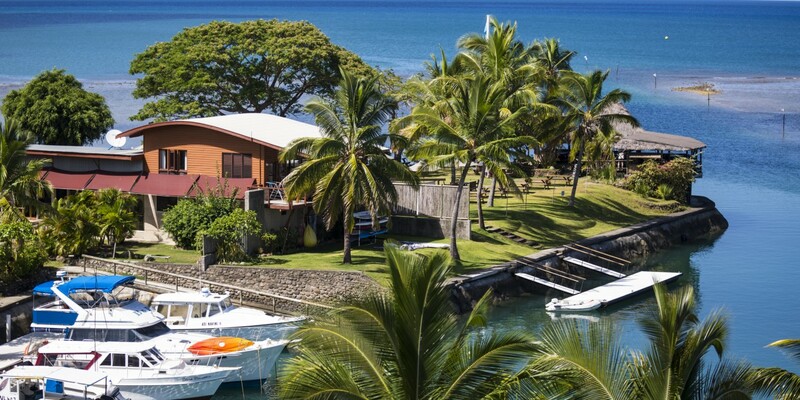 The Cabin rate is just FJ$65 per night inclusive of all relevant taxes. Due to this very competitive price, the cabin is often booked well in advance so enquire early if you are interested in staying in the cabin.